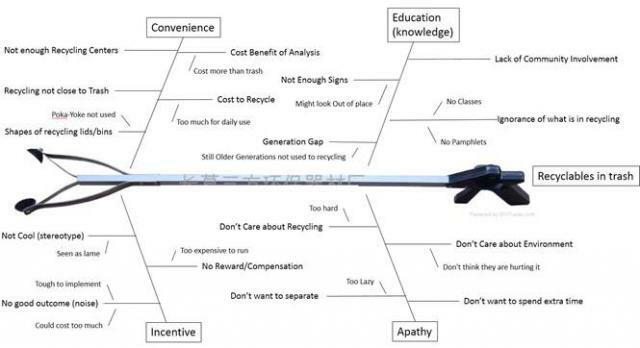 The Six Sigma students at Rose-Hulman Institute of Technology are at it again! A few months back, we blogged about the Six Sigma project they did to reduce food waste at the on-campus dining center. 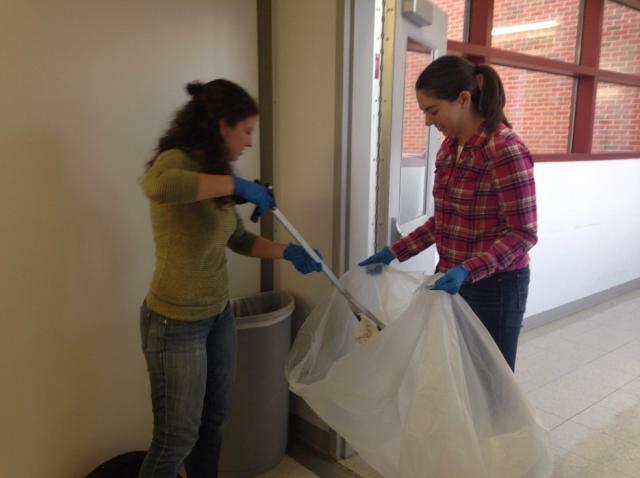 This time, the students—lead by Dr. Diane Evans, Six Sigma black belt and associate professor of mathematics at Rose-Hulman—are performing a Lean Six Sigma project to reduce the amount of recycling thrown in the normal trash cans in all of the institution's academic buildings, including the library. Unfortunately, the recycling bins Rose-Hulman has placed all over its campus are underused, and it’s very common for recyclable items to still be thrown in the regular trash. The students are currently in the midst of completing the DMAIC improvement project (they’ve completed the Define, Measure, and Analyze phases, and are currently working on Improve), but I thought it would be interesting to do a quick recap of where they’re at with the project right now. First things first: the students had to gather baseline data for the amount and weight of recycling that was thrown into the normal trash cans. You can even see them in action in this YouTube video: https://www.youtube.com/watch?v=cxTROuJOdPU! By sifting through trash from the academic buildings over the course of two weeks, the students were able to say that they are 95% certain that the interval [0.315, 0.421] contains the true mean percentage of recyclable waste (by weight) discarded in the trash. To put these numbers into perspective, according to a study by the EPA in 2012, only 87 million tons of trash were recycled from the 251 million tons of trash produced. 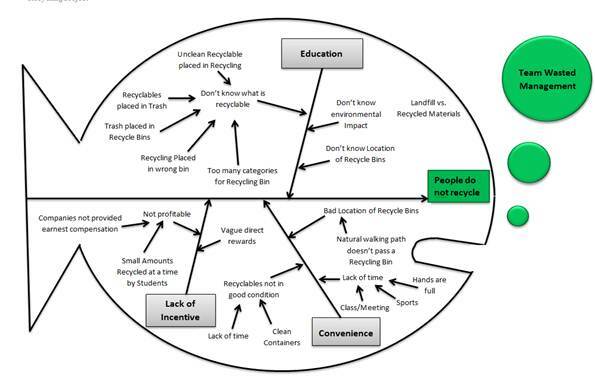 This is an average recycling rate of 34.5% in the U.S. You can see that the interval the students came up with for the recycling rate at Rose-Hulman is consistent with the overall recycling rate for the U.S. 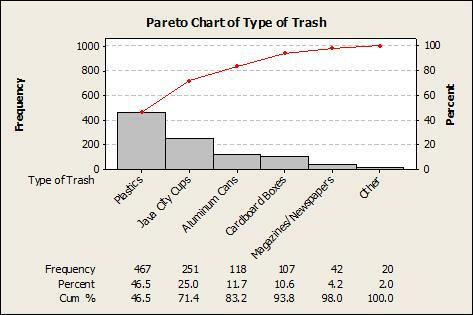 They used the Pareto above to confirm that a lot of ‘coffee cup trash’ from the local coffee shop winds up in the trash cans in the academic buildings. Unfortunately, the cardboard coffee cups are not recyclable because of their waxed inner linings. The students can’t control the type of material that’s used to make these cups, but they can put this on their list of recommendations for the future. As part of the measure phase, Dr. Evans and the students ran an attribute agreement analysis to ensure that the students sifting through garbage could visually distinguish between different paper thicknesses, which would tell them that the data they were collecting about paper recyclables was consistent across teams. Before class one day, Dr. Evans made five groups of paper that fell into each of these categories. She then walked around and showed the different project teams stacks of paper in random order, replicated three times. The results ended up clearly showing that the teams couldn’t distinguish paper thicknesses by inches, especially for the categories below a half of an inch. Thus, when the students go back in the field during the improvement phase, they’ll be required to take calipers with them. After all, if you can’t trust your measurement system, you can’t trust your data! 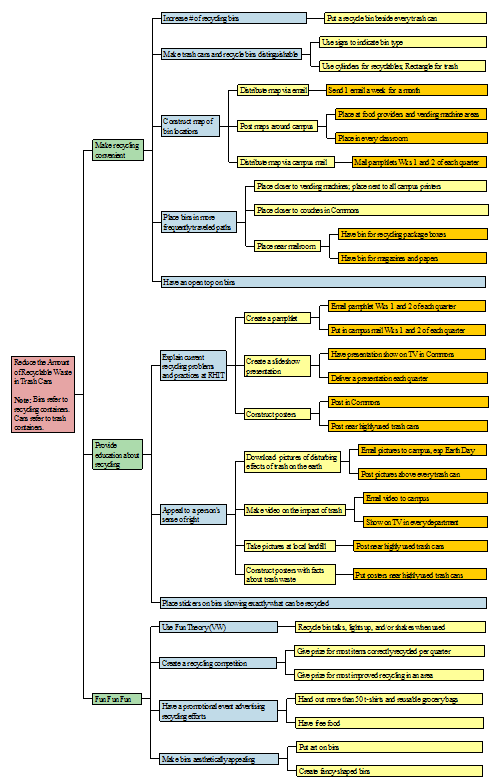 As part of the early DMAIC phases, the students also created a ‘Critical To Quality' or CT Tree in Companion to work downward and identify factors “critical to” reducing the amount of recyclable waste that was showing up in the trash cans on campus. The CT tree helped the students brainstorm and start to flesh out the ideas they had for improving recycling at Rose-Hulman.